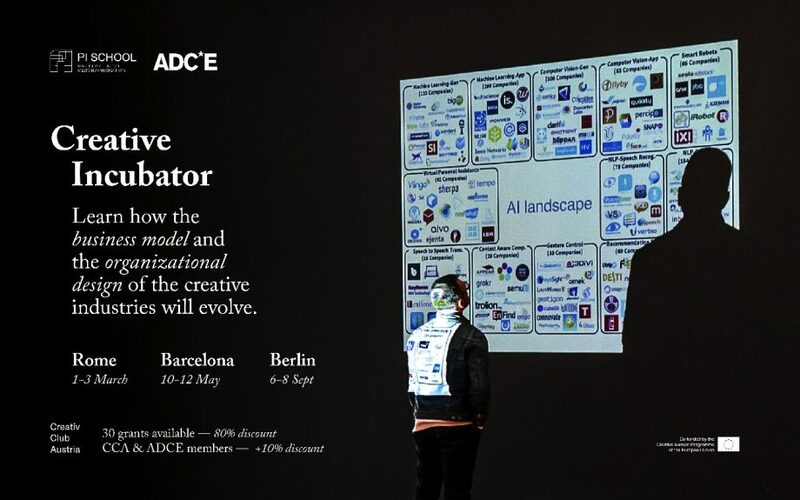 Pi School & Art Directors Club of Europe vergeben für die Creative Incubator Termine je 30 Stipendien zu 80% Rabatt. CCA/ADCE Mitglieder bekommen zusätzlich 10% Rabatt! The programme is a configuration of three workshops, approaching top and most urgent challenges of the Advertising and design industry. Participants ideate and produce concepts, generate models and strategic solutions and provide the Creative Industry with hands on and applicable recipes, to be equipped to face their current and future challenges.